If you have read my blog for a while you will know that I feed the birds and even grow meal worms in our art studio for the blue birds. For that how to click here but be sure to come back. 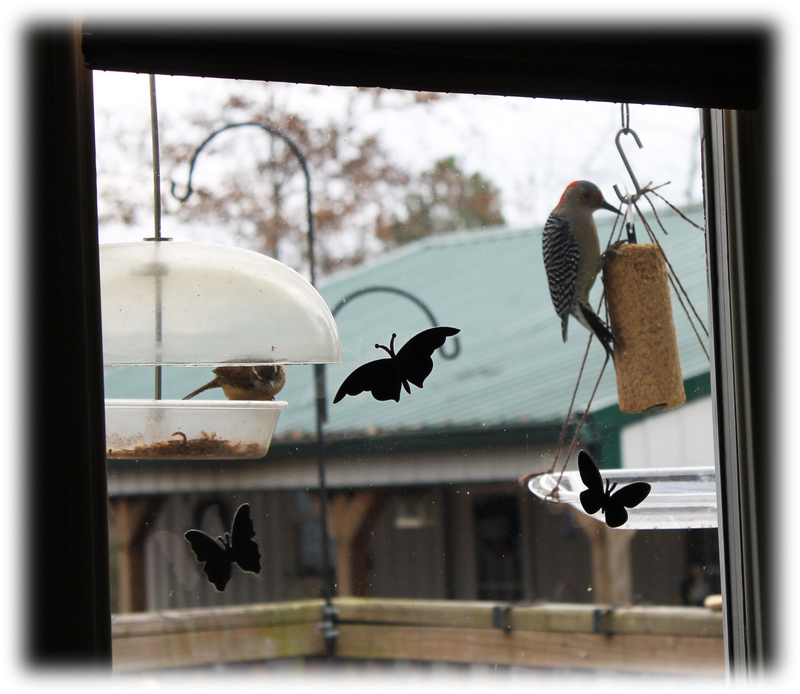 This week I decided it would be fun to have some peanut butter suet near the window so we could see the woodpeckers and blue birds up close. 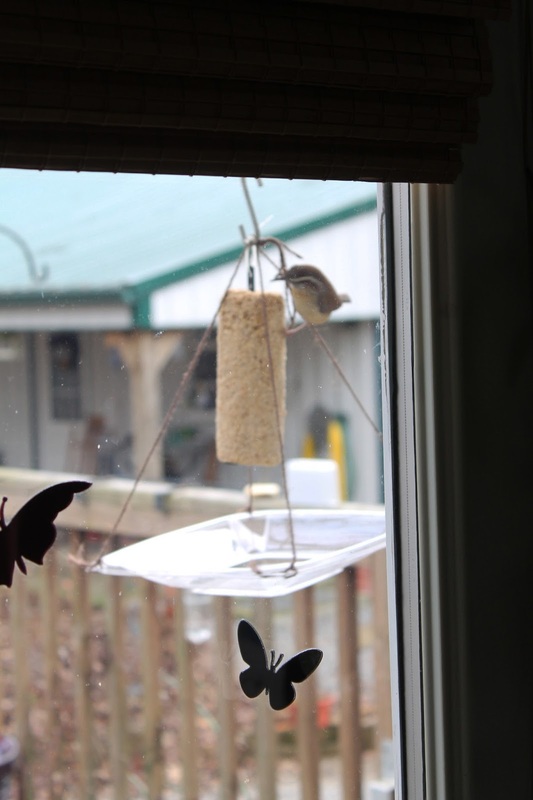 I knew from past experience that they can be quite messy... slinging suet all over the window and figured the parts that they dropped on the deck would attract ants too. I wanted a tray to catch the crumbs. The first thing I tried was a bakery cake clear top from a birthday cake I purchased. It worked well until a Downy Woodpecker got in it and could not climb out! I turned him loose and went to plan B. Bill remembered the little salad containers we saved from Wendy's take home so I got the lid from one of those, heated an ice pick on my stove burner and melted a hole in each of the four corners. Next I tied jute twine into the holes and tied them all together at the top to make a way to suspend the little tray under the suet. It works great as you can see from the picture above. here's a closer view: Next week I'll tell you about the butterflies you see on my door glass.